What Do We Know About Probiotics? They are packaged in various forms; however, the most common of which is yogurt. Yogurt can be the best source of probiotics. Probiotics also come in the form of encapsulated powders. In the above forms, probiotics can come in the form of dead cells, live cells, cell parts, or even inactivated (heat) cells. In reality, amino acids or ascorbic acids are also often combined with the use of probiotics to increase the effectiveness of probiotics. 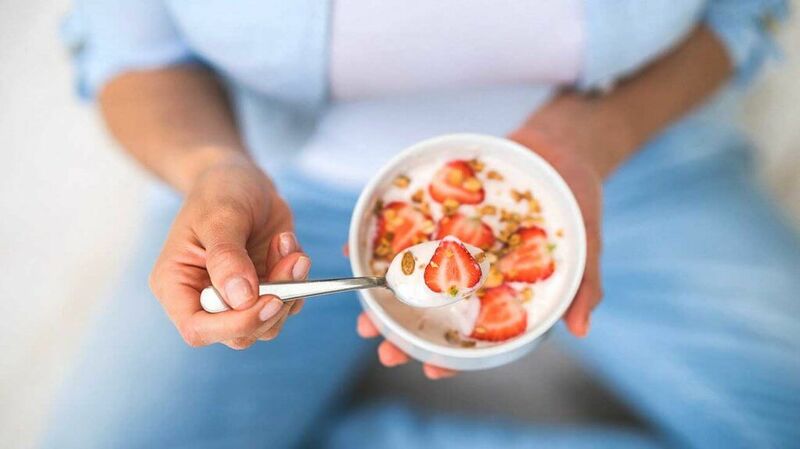 It is realized that in most cases if probiotics are taken naturally from your diet, such as yogurt, you can see a steady improvement in your digestive system. Foods like yogurt are recommended to maintain proper digestion, helping to prevent gastric problems and enhance your immune system. If you have some certain health issues; yet, a prescribed dose of probiotics should be needed. Commercially packaged probiotics can help you improve your digestive troubles or fight some particular health issues. In some cases, depending on the volume of bacteria in the digestive system as well as our health condition, this kind of probiotics can work within few hours. Therefore, depending on the probiotic, the health condition, and consumption frequency for probiotic, it will take less or more time for probiotics to work. In addition, for those with improper diet habits, probiotics can take a longer time to work ( a few weeks). When Should You Take The Supplements of Probiotics? The gut flora has become deranged. This health problem can be caused by sugar, alcohol, antibiotics, or other common culprits. From this, the health problem can result in more serious health problems, such as Candia, depression, or autoimmune disorders. Digestion disorders, skin disorders, immune dysfunction, and mental problems are the potential symptom of gut dysbiosis caused by the gut bacteria imbalance. Along with positive changes in your diet and lifestyle, probiotic supplementation can help to maintain a healthy gut, which contributes to the overall balance in your body. Do Probiotics Help Irritable Bowel Syndrome? Scientific evidence has shown that some probiotics can help irritable bowel syndrome. Probiotics are micro-organisms which can promote good health if they populate in the digestive system with adequate numbers. The presence of probiotics can help you fight against other bacteria which can cause illness. Probiotics can help to regulate the normal function of bowel movements including sensation, immune function, and even motility in irritable- bowel syndrome. Some researchers proved that probiotics could help some patients minimize or eliminate the gut bacteria. So, they can reduce irritable bowel syndrome symptoms. According to many studies, a type of probiotics named Bifidobacterium infantis can be helpful to reduce the painful symptoms of irritable bowel syndrome. In addition, positive conclusions collected from the majority of patients show ed that Bifidobacterium infantis can be one of the top effective probiotics for irritable bowel syndrome treatment. Yogurt is fermented from milk. It is one of the rich sources of probiotics. It has friendly bacteria such as bifidobacteria and acid bacteria which can enhance your health. Kefir is also another of fermented probiotic milk. It is fermented by adding more kefir grains to the animal milk. Kefir grains are yeast and lactic acid bacteria which look like cauliflower. Kimchi is famous Korean food. Kimchi is fermented from vegetables such as cabbage, garlic, ginger salt, sugar, scallion, and red chili pepper powder. The food has a friendly bacteria named lactic acid bacteria Lactobacillus kimchii. However, this probiotic food is not suitable for everyone, especially people with skin rashes and candida. The probiotic rich food is a Japanese seasoning. Miso is fermented from soybeans mixed with salt and a kind of fungus named Koji. Miso is also produced by mixing soya beans with other ingredients such as rice, barley, and rye. The probiotic-rich drink is a kind of fermented tea which contains great levels of healthy gut bacteria. However, this probiotic drink may not be suitable for everyone, especially people with candida. Pickles are made from cucumbers which are pickled in salt and sugar water. Pickles has lactic acid bacteria which makes them sour. This probiotic food is also not suitable for everyone, especially people with skin rashes and candida. The probiotic rich food is finely shredded cabbage which is fermented by good bacteria ( lactic acid bacteria). In conclusion, probiotic sources including foods and supplements bring powerful effects on your health. With some evidence listed above, I am sure you have found the right answer to the question “how long does it take for probiotics to work?” as well as understand more about probiotic foods and probiotic supplements.